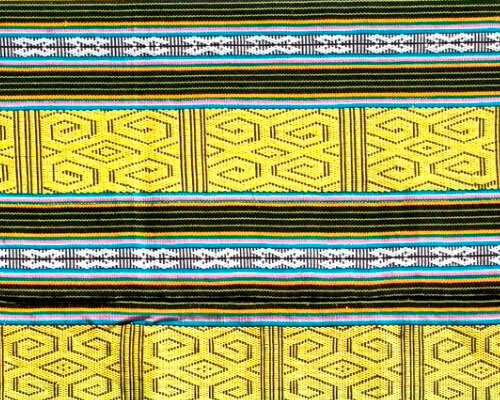 Tinuku ~ Centers of Rumah Tenunkoe headquartered in Kupang is Ikat Weaving center of East Nusa Tenggara to create works and collaborative design for fashion fabrics, garments, scarves, bags and various crafts rooted tradition of ethnic culture. 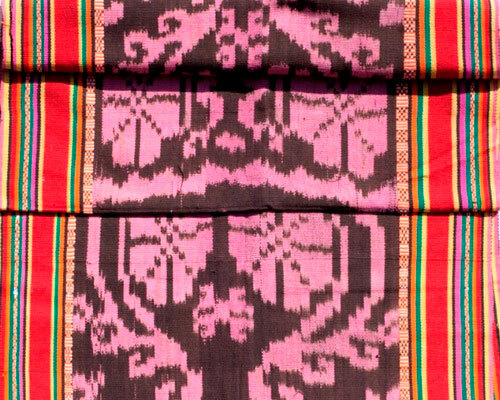 Sentra Rumah Tenunkoe present in the works of fabrics made from weaving process by the people of East Nusa Tenggara by entering the horizontal threads in the warp ranks that have been tied and dipped into natural dyes made from trees roots and foliage. 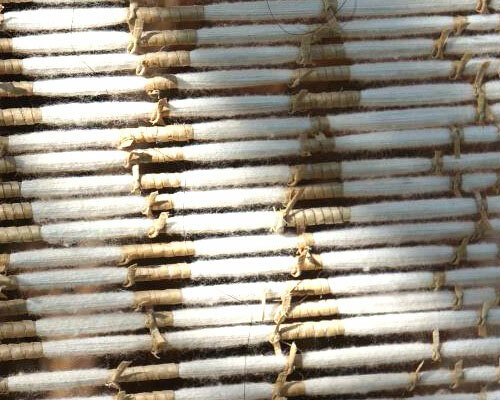 Threads associated with each other on wooden equipment really use hand into very beautiful fabric. Weave in manufacturing should not be careless because the process is sacred steps. 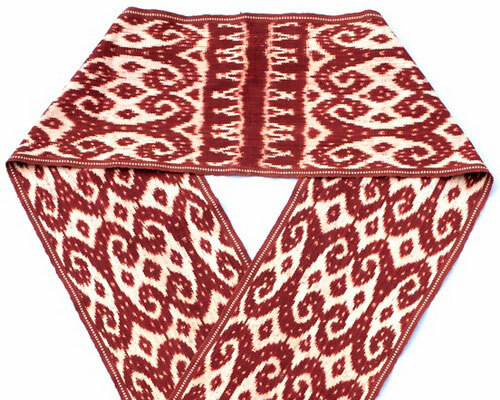 Ikat Weaving is not just the fabric in general, but each fabric comes from the soul. 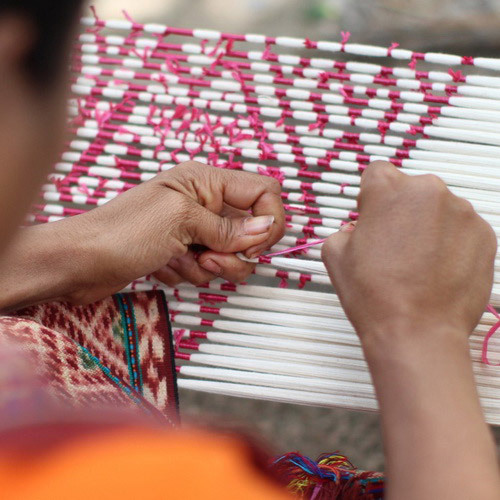 Women in traditional communities of East Nusa Tenggara implement weaving tradition as family-owned property worth symbolic and spiritual meaning of the ornament including certain according to the customs. 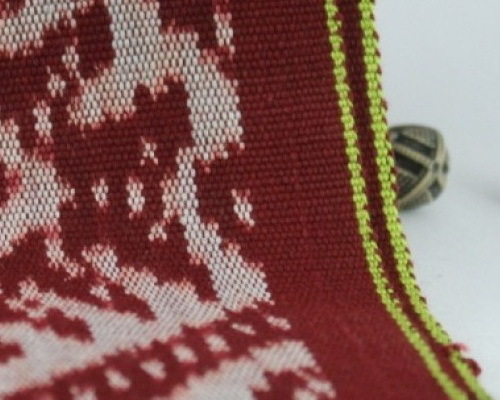 Weaving has meaning, the value of the history and techniques in terms of colors, patterns and types of materials as well as materials used. Rote complexion main characteristic black background, Timor pattern visible with bright colors and Sumba terracotta-colored filled with religious values. Horse symbolizes the pride, strength and courage. For chicken style symbolizes woman's life when married. 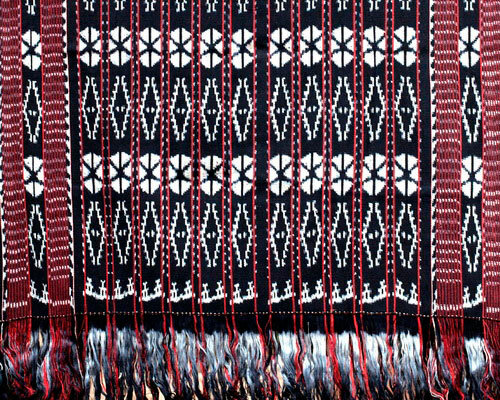 Weaving techniques passed down by ancestors generate variations representing local traditions. 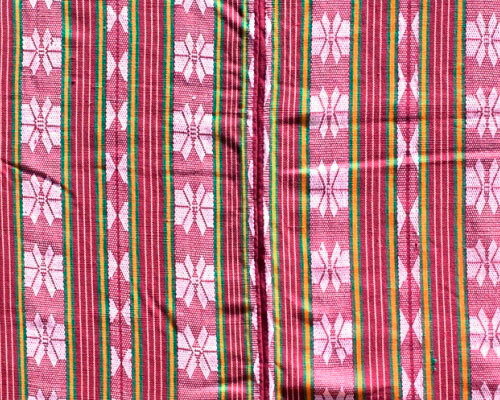 Fabrics used during traditional ceremonies reflect the social strata as symbol of respect for the community expected to prevent them from disaster and other bad things. Sumba community further highlight the decoration of horse, deer, shrimp, dragons, lions, humans and trees. While Timor includes many shades of birds, lizards, crocodiles and Kaif. For other community featuring shades of flowers or leaves, while the animals pattern only as an accent. "Weaving meaning and philosophy. 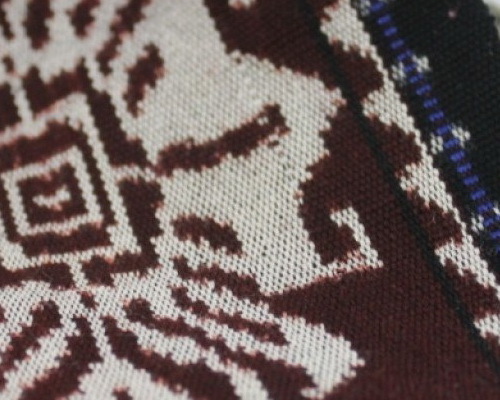 Each pattern of various regions has its own meaning," said Maria Agustiana Indrasti, one of the founders Rumah Tenunkoe. The zoomorpic, antropomorph, floral and geometric décor generated from combination of black, red, white and blue is done by hand very carefully and slowly. 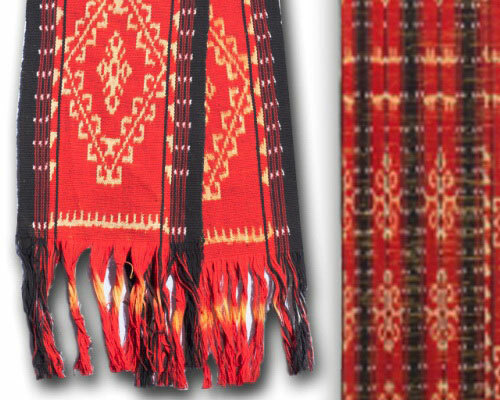 A shawl takes several weeks, sarong need 3 months and a blankets at least 5 months. 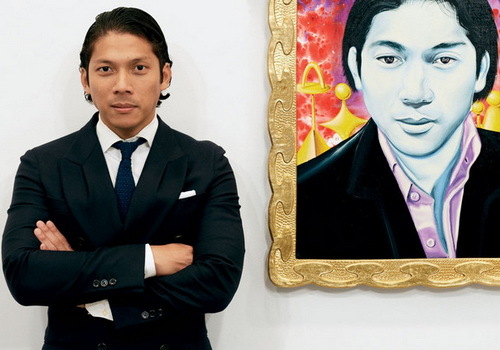 The works reflect the culture of precision, patience and sense of beauty. Philosophical value assessing the significance of weaving for the community as form of respect. Etched motifs and colors reflect bond of love, affection and kinship. Variety decoration ethnic traditions not only as design only, but on each object produced manifestation of life implemented in symbols. 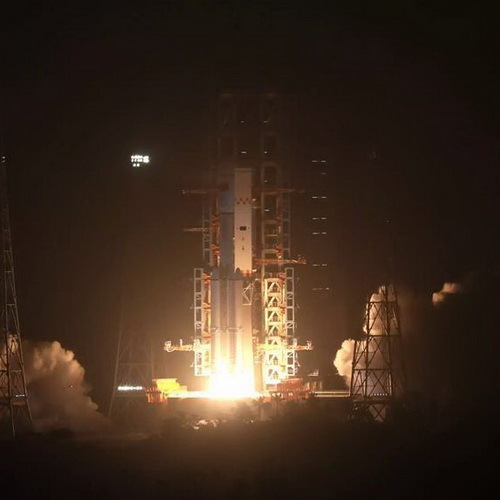 The black color means mourning, red is virility, white is purity, happiness is yellow, blue is peace and green is fertility. The dyes from plants such as indigo, noni, turmeric, nutmeg, lime, crimson and mud. Black, red, white and yellow are the primary colors, while other colors are a mix of basic colors.